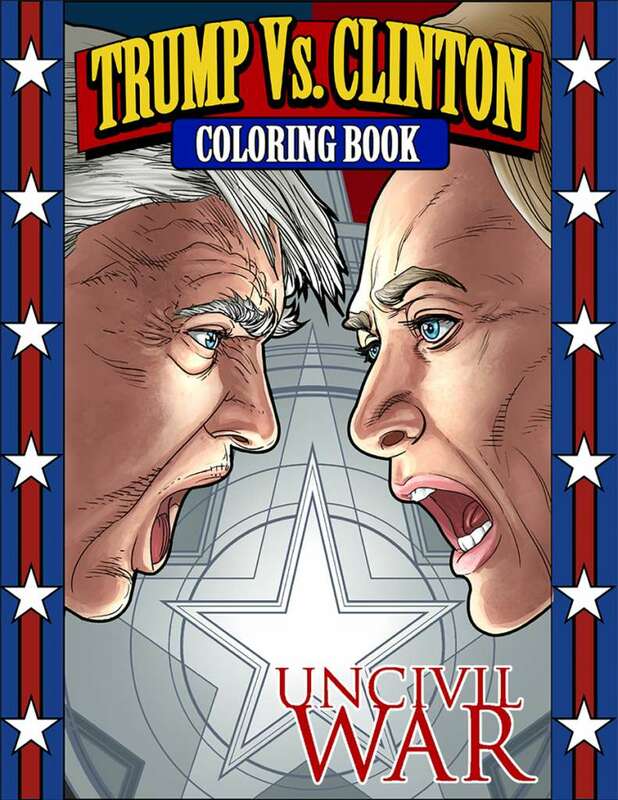 TRUMP VS CLINTON: WHO ARE THEIR SUPERHERO COUNTERPARTS? 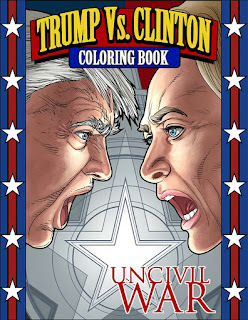 Clinton and Trump: These two presidential candidates are larger than life individuals, what with Hillary Clinton and her many years of political experience, and Donald Trump, with his vast network of business dealings. In fact, both of them exhibit traits found in many of the popular superheroes. But, prey tell, what superheroes are embodied in these candidates? 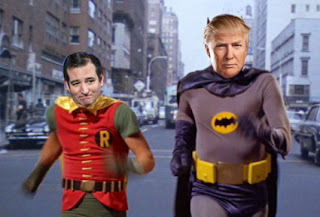 Here's a look at the character traits of each candidate and their superhero counterparts. Donald Trump may not dress in a bat suit and perch on the pinnacle of Trump Tower, but then again, he does share many traits with a certain Dark Knight. For instance, Trump and Bruce Wayne are obscenely rich, which they both use as a reason to take action in a system they perceive as corrupt and broken. Furthermore, both men have a strong belief they're the only person who is capable of saving a city -- or a country -- which has taken a direction he does not agree with. Ironically, however, a former Batman actor, George Clooney, has endorsed Donald Trump's opposite number, Hillary Clinton, so that's a slap in the face, eh? Another comparison can be drawn between Donald Trump and the Marvel hero, Iron Man. Not only are both men immeasurably rich, but they both gained a vast following of support through a swift wit and silver tongue that seems to out maneuver any opposition they face. Despite all the odds against Trump, he won the Republican nomination with a combination of brashness and wits, which is a character trait Tony Stark portrays often. Also, like Iron Man, Donald Trump isn't afraid to use force in the face of his enemies. Of course, this list wouldn't be complete without a shout-out to Captain America. For a man whose slogan is, "Make America Great Again", Donald Trump claims he will put the priority of the United States first, no matter what. It probably won't surprise you that Hillary Clinton and Wonder Woman have an awful lot in common. They obviously share a gender, but that's just a superficial detail. 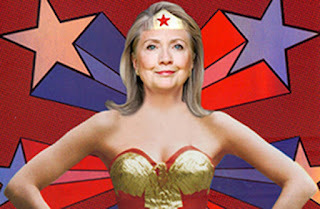 As a matter of fact, Lynda Carter, the actress who played Wonder Woman in the 1970s, has used Hillary Clinton as a role model in her recent part in the hit show, "Supergirl". While the Wonder Woman comparison isn't a surprise, you may be shocked to hear Hillary Clinton made a cameo appearance in Valiant Entertainment's popular comic, Faith. While the protagonist, Faith, is the only one with the super powers, clear distinctions are drawn between metaphorical powers in the comic and the widespread inspiration Hillary Clinton is to young women across the country, just like Faith is within the comic's story-line. Despite Hillary's high marks from Lynda Carter and the makers of Faith, Dean Cain, the actor who played Clark Kent in "Lois & Clark: The New Adventures of Superman", isn't sold on her qualifications. In an in-person interview on "Fox and Friends", Cain proclaimed he wasn't in favor of Bernie Sanders or Hillary Clinton, which made him a Trump supporter by default. While he did call himself, "A Trump guy", this wasn't a full fledged endorsement, so Trump hasn't boasted about the support from TV's former Man of Steel.